If you ask me what’s the most romantic city I’ve been to, don’t expect "Paris." For me the most romantic city I’ve ever been is Istanbul, Turkey. I don’t know what exactly attracts me in that 20-something-million metropolis, spread over two continents and divided by the sea. There are so many things, which create that one picture – the imperial history, chanting of the muezzins, hundreds of cups of black chai, smell of the musk and roses in the old bazaar, crowded ferries, bloody sunsets over Bosporus, getting lost in the narrow streets of Taksim, going out in vibrant Kadiköy and taking a taxi from Asia to Europe at night. All these little impressions created a picture, which, undeniably, made me fall in love with this city. Istanbul is way too big and way too spread out to be able to discover it in three days. But if you are on a tight schedule, you have to set priorities. 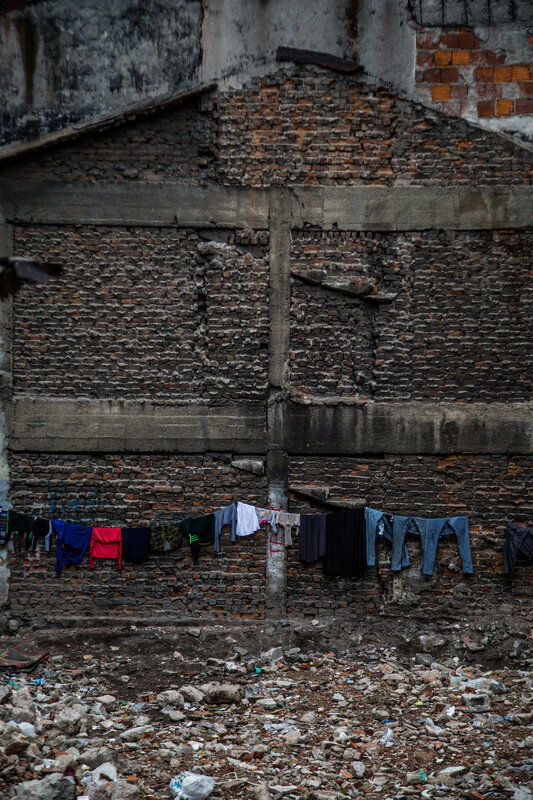 What is that you want to see – the historical touristic part or the everyday unbeaten paths and youth culture? I can assure you that can do both (and we did), but if you don't want to be constantly in a hurry you should discover the city more gradually, over time. One can come here once in a while – from Europe it is quite easy and relatively inexpensive to do, thanks to the Turkish airlines rates and network. Talking about these airlines – they provide the best service (and are awarded for that on a regular basis) and honestly, I rarely flown better and felt more of a welcomed guest. Istanbul is the only city in the world divided by the sea and placed on two continents – Europe and Asia. This noble city, currently most populous in Europe and 7th most populous in the world, was founded approximately in 660 BC and served under different names as the capital of many empires – Roman, Byzantine, Latin and Ottoman. The mixture of different cultures, religions, traditions, architectural styles and topography is probably what makes Istanbul one of the most interesting places to visit. Most touristic sights can be found on the European side, mainly in the districts of Fatih (including Eminönü and Sultanahmet), Beyoğlu (formerly „Pera“) and Beşiktaş (yes, that’s why the football club is called like that). Fatih is the place to discover history. The neighbourhood Sultanahmet with the most prominent sights – the Blue Mosque (Sultanahmet Mosque) and the Hagia Sophia museum, as well as the Grand Bazaar (one of the biggest and oldest covered markets in the world, with 61 streets and over 4000 shops) and the Basilica Cistern (made extra famous to the Western Audience by Dan Brown’s novel Inferno and the movie of the same name) can be found here. The mysterious interior of the Saint Sophia gave me goosebumps. Spice market is situated next to the Grand Bazaar and offers a feast for your senses. The hipper young parts of Fatih include the twin quarters of Balat and Fener – the equivalent of Kreuzberg and Neuköln in Berlin or Williamsburg and Bushwick in New York City (pardon me this rough comparison). 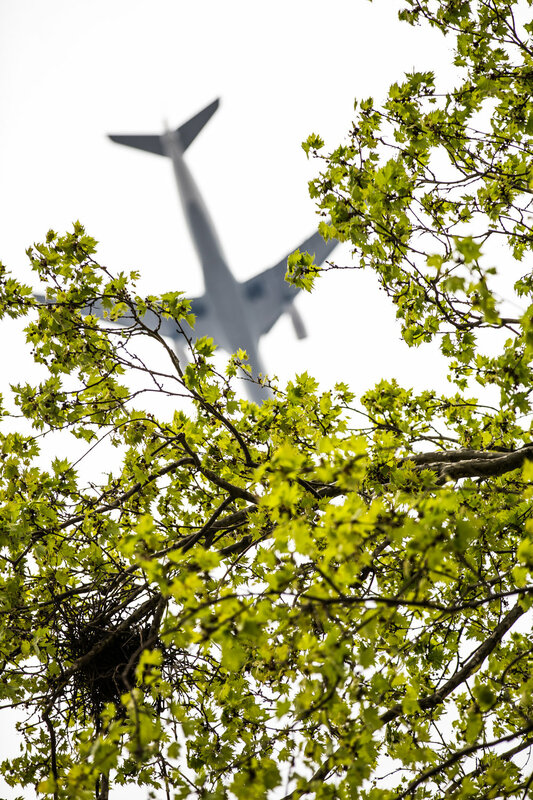 If you want to sit in a cool café, discover local designers or take pictures of low-flying planes and colourful buildings – you should come here. Beyoglu, separated from the Old City (Fatih district) by the Golden Horn, is the capital’s center of art, nightlife and entertainment. You can walk in the waterfront commercial neighbourhood of Karaköy, climb the Galata stone tower or have a great time in one of the bars in Taksim neighbourhood, with its main artery – the Istiklal Caddesi (Independence Avenue). Honestly, since it was my second visit to Istanbul, I skipped Beyoglu almost completely, since – regarding the nightlife part – it is very touristic and I like to feel myself a visitor but not a tourist. When it comes the Beşiktaş (the municipality, neighbouring Beyoglu) the most interesting part of it for the short visit would be the neighbourhood of Örtakoy with the beautiful neo-baroque mosque of the same name. Hint for photographers – the square nearby the mosque is a key place for the sunrise pictures. Another key historical building of Beşiktaş is the eclectic Dolmabahçe Palace, built in the 19th century to suit the modern European tastes of the Sultan Abdülmecid I, who thought that the Ottoman Topkapı Palace in Sultanahmet was too old-fashioned. Örtakoy neo-baroque mosque. The best time to come here is at sunrise. 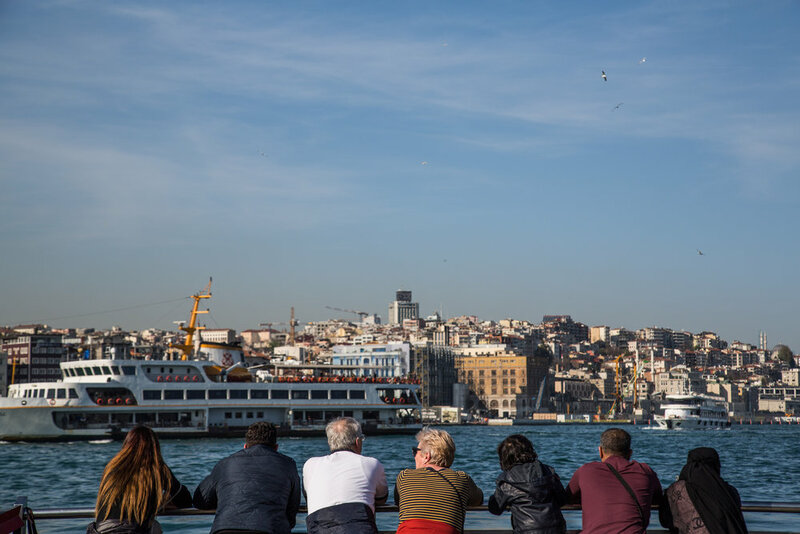 The Asian side is connected to the European by several bridges, but the best and most spectacular way to get there will be by taking a ferry from many stations – the usual most central stops are in Eminönü and Karaköy. The ferry system is a part of the public transportation in Istanbul, thus ferries are very regular and inexpensive). Taking a ferry at sunset is an experience of its own. You will be offered the usual chai and can enjoy it on the open deck with the view of the city, opening to you from the sea. The trip from Karaköy station to the opposing Kadiköy will take no more than 30 minutes. This is a trip I could take on an everyday basis – definitely much better than being jammed underground in a usual subway. Kadiköy is the name of the district as well as the popular neighbourhood within. The neighbourhood is a heart of Istanbul’s alternative nightlife, with many bars opened till late. The upscale waterfront neighbourhoods of Moda and Fenerbahçe are have great places for a relaxed stroll or a day on the beach. The most famous historical sight of Kadiköy is the Istanbul Haydarpaşa Terminal, the train station on the sea shore, which was a connection point for the passengers of the famous Orient-Express, who wanted to continue their travels further to Asia. My desire to visit Istanbul in the first place was triggered by seeing the heroine of Audrey Tautou in the beautiful 2009 Chanel commercial, directed by acclaimed director Jean Pierre Jeunet, and shot in Istanbul. In this commercial Audrey takes the Orient-Express to Istanbul, meets a good-looking stranger and falls into his embrace at the Haydarpaşa train station. 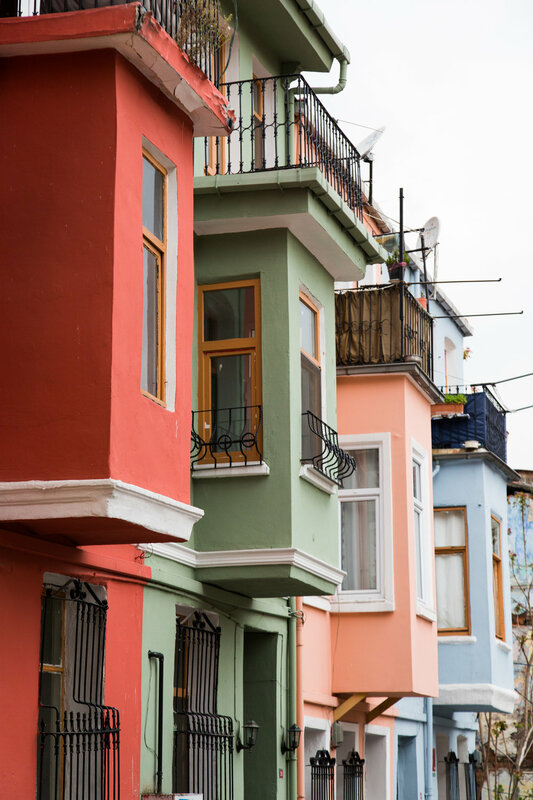 If you feel more adventurous and want to discover further quarters of the Asian side, I would recommend getting off one of the stops in Üsküdar – the district, neighbouring Kadiköy. We went to Çengelköy, a residential neighbourhood with a beautiful waterfront and many villas and palaces built during the Ottoman period. Another tourist-free stop was the historical Jewish neighbourhood Kuzguncuk, with its wooden houses, which reminded me so much of San Fransisco, and a breathtaking sunset view of the Örtakoy and the Old City in the distance. In the sea offshore Üsküdar you will find one of the most hashtagged and photographed sights in the world – the Maiden's Tower. It is best photographed at sunset, with the gorgeous backdrop of the European side’s Old City. Several private boats take tourists to the islet, where the tower stands – I still think it is better observed from the distance though. I can imagine reading about all the districts, neighborhoods and sights can be rather confusing. Visit Hagia Sophia and the Blue Mosque – standing just few hundred meters from each other, they both offer a perfect introduction into the history of Istanbul. Hagia (Saint) Sophia, first a Christian church, then a mosque, and now a museum has not only an almost 1500-year old history, but also a mysterious atmosphere, which left a huge impact on me. Blue mosque (Sultan Ahmet mosque), named so after the beautiful blue color, dominating its interior, is a working religious building and visitors should treat it with the according respect. Walk through the Grand Bazaar and buy some overpriced souvenirs. You can definitely find cheaper prices at a supermarket, but here you pay for the almost-cinematic experience. Drink 10 cups of black sweet chai in one day. I never drink sweet black tea, but in Istanbul it’s a must. I even bought a small glass as a souvenir. The usual price at any street café would be 1,5-2 Lira, an equivalent of 40-50 eurocents. Photograph a plane in between the buildings of Fener. I saw pictures of low-flyng planes on Instagram and always thought they are too good to be true. Nevertheless, after visiting Fener and seeing an airplane flying so low, I could almost hear a baby screaming in the economy class, I changed my mind and even took a cool picture on my own. Wake up before sunrise to catch the first morning rays by the Örtakoy mosque. To be perfectly honest – I didn’t do it. I generally have problems waking up early. But the pictures I’ve seen were spectacular. 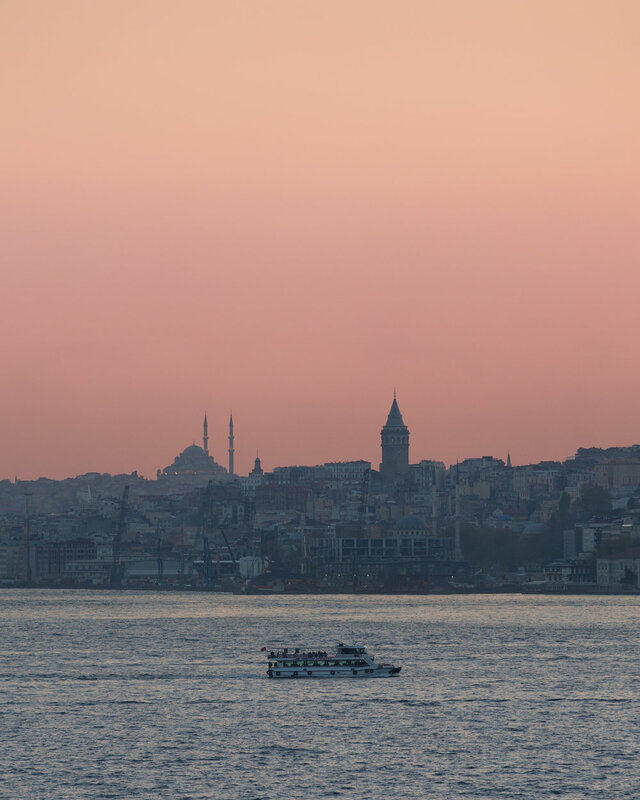 Take a ferry from Karaköy to Kadiköy at sunset. This is probably my favorite activity in Istanbul. Enough said. Visit the Maiden Tower. Just to cross off your list one of the most hashtagged sights in the world! For fine dining: Mikla and Leb-i Derya in Pera (Beyoğlu) both with a tremendous city view and great food. For sleeping: Ajwa Hotel Sultanahmet – an upscale, but absolutely amazing choice for those who appreciate art (original paintings and drawings of the famous Azerbaijani artists on the walls are museum worthy), service and privacy. For drinks: Külhanbeyi and Alex’s Bar in Beyoğlu for classic cocktails, Kadife Sokak street in Kadiköy (Asian Side) for casual drinking. 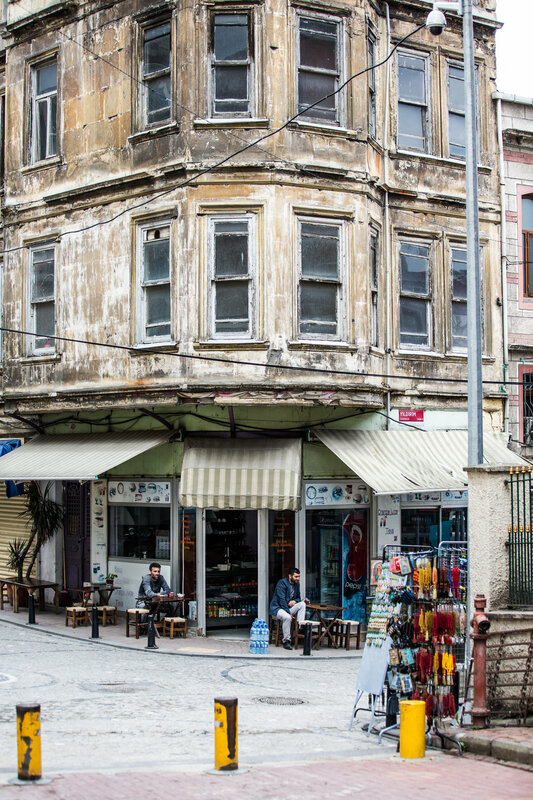 For hipster culture: just head to Fener and Balat and wander around. I really enjoyed the Coffee Department coffee shop and roastery there with its Brooklynesque vibe. For chai: atmospherically the best places to drink chai would be either on the ferry (they’d always offer tea to passengers) or in a small café in front of the Haydarpaşa Terminal in Kadiköy. I really hope you enjoyed my little guide to Istanbul. In no way I am an expert and would love to discover this marvellous city again and again, but for those, who share similar tastes as me, I hope this will be helpful and informative. I am very thankful to the Turkish Ministry of Culture and Tourism for organizing this trip for me and several other instagramers. Check out the full VIDEO from our trip. The next part of my Turkish journey – our 2-day trip to the hot-air-balloon region of Cappadocia will follow! Stay tuned.